I’ve worked in schools for most of my professional career. Although I think there is always something new to learn and there are always ways to grow as an educator, I can say I’ve picked up some knowledge over the years about children and their interesting little ways of doing things. One of areas I’ve picked up a lot of “insider information” is school lunches… what kids like, what they don’t like, etc. It might still be the middle of summer (thankfully!) but it’s never too early to think about back-to-school. 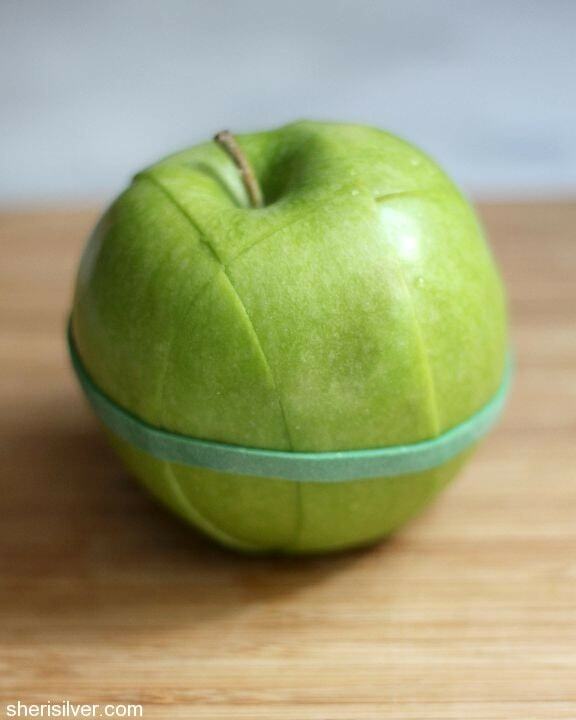 Here are some great school lunch hacks for HAPPY kids. One of the most common problems with school lunches for children is that they can’t open containers. I’m not talking about bags of chips or Capri Sun drinks, I mean home-packed containers and thermoses. Sometimes I think parents are trying to outdo the Hulk or something when they screw thermos lids on! We can’t even get our custodians to open the darn things! I’ve seen custodians try to open thermoses with work bench vices and still couldn’t get the lid to screw off. Probably time for a different thermos at that point. Another common problem I see during lunch time is when lunches go “missing”. A missing lunch to students for some reason is always “stolen”. After reassuring them that that probably isn’t the case, we go looking for the lunch and will eventually find it in the office or another classroom. However, without a name on the lunch, the other teachers and staff don’t know to whom to return the lunch. But don’t just label lunch boxes; label everything from thermoses to containers to utensils. It can be easy to just grab food out of the fridge and stuff it into your child’s lunchbox. However, remember that the food you pull out of the fridge or freezer was in there for a reason. Bacteria can grow pretty quickly on meats and other foods, especially when we’re talking about hot classrooms that may or may not have good air circulation. We don’t want any sick tummies at school (!!!). If you don’t already have an ice pack, one trick is to stick a moist sponge in a Ziplock bag and let it harden overnight in the freezer. Put the frozen sponge in your child’s lunchbox in the morning. Simple as that! I’m one of those moms who wants to make my boys’ lunches look really cute and fancy with all the little cut out pieces of fruit and have everything go along with a particular theme. It looks like so much fun. And it is, but it’s also unnecessary and a waste of your time. Don’t get me wrong! I pull it off when I can for special occasions or just randomly here or there to remind my sons that I love them. BUT, for as good intentioned as this all is, kids really don’t care. They really don’t! They like it, sure, but if they don’t have a color coordinated lunch, they don’t miss out either. What they DO care about is what’s IN the lunch… you know, the FOOD! Bring your children to the grocery store with you to pick out their school lunches. If you like to shop during the day when your children are in school, then at least sit down and have a conversation about what you can buy for them that they will eat. They’ll be honest with you about what they like and don’t like! And keep the conversation going throughout the year. It’s very likely that Little Johnny is more willing to try celery in January than he was in August because he saw that cute girl Ava eating celery and doesn’t think it’s so bad anymore. Giving children some choice in what goes into their lunch makes SUCH a difference between food being eaten versus food going in the garbage! Or just don’t “construct” them to begin with. I always get a kick out of how just about every student will take their sandwich or burger apart before eating it. Even salad ingredients get separated out before children eat them. Some items will still be combined before they’re eating, but usually speaking, food items don’t stay as they started. Instead, put all the components into the lunchbox and let kids have fun putting them together as they’d like. It’ll save everyone time! One of the most successful lunch options for keeping things deconstructed are home-made Lunchables or something else that’s easy to stack. Again, let your child choose the items. These are by far some of the best eaten lunches I see in the cafeteria. One reason I think children deconstruct their food is because it’s too big for their tiny mouths. This is especially true with sandwiches and burgers. Cut food items down or buy them in mini sizes to help those little mouths out. Bite sized tacos are another underestimated favorite I see around in the cafeteria. Check out Evolving Motherhood where she shares 13 fantastic ideas for using tortillas in school lunches. Another popular lunch idea is lunch kebobs. These simple presentations are the perfect solution to everyone’s school lunch efforts. They let Mom be a bit creative and cutesy, they keep food items separated for the kids, and they’re just fun! One Little Project shares 50 school lunch kebob ideas here. Try lunchbox smoothies for something new. I see a few students with smoothies from time to time and they always get a million comments about how everyone else wants one too. Add in all sorts of whole and healthy foods, freeze it overnight, and voila! Super yummy and ready-to-go just like that. Get inspired over at One Good Thing By Jillee. There’s something pretty magical about mason jars when it comes to getting children buy-in. Put just about anything in a mason jar for Little Johnny’s lunch, and he’ll eat it right up! I’ve actually done the experiment with my own boys. I tried to feed them a salad one night for dinner, only to have them complain and whine so much that they went to bed hungry. I put the leftover salad in mason jars for them to take to school with them the next day and when I asked about lunch, all three of them told me how much they enjoyed it. Ah the power of presentation! Find some mason jar recipes and ideas here. I think children like fruit more than they let on sometimes. But NO ONE likes old, wilty fruit! To beat the wilting and sogginess, hold sliced fruit pieces together with rubber bands or toothpicks. Image source. You don’t have to make them cutesy like in the image, but pre-assemble snack baggies on the weekend to have them ready-to-go throughout the week. Having everything already put into baggies saves time and stress in the busy morning. While I don’t think it’s necessary to make cut out or themed lunches, I AM a big proponent for lunchbox notes! These make for SUCH a better use of your time in the morning than assembling Mickey Mouse out of rice and carefully cut out cheese and raisins or whatever! I love watching my student’s faces when they read the anticipated notes from Mom or Dad reminding them how much they are loved and to make good choices. Your words go a long way in their little worlds! You can find all sorts of free lunchbox note printables on Pinterest for that just-right message. Or just make your own by writing a quick notes on a napkin. One clever idea I’ve seen is to paint the inside lid of a metal lunchbox with chalkboard paint and leave your notes there. Scissors and Spatulas shares more on the idea here. One of my all time favorite ideas I’ve seen in the cafeteria was from a mother who would wrap her children’s lunch items in wrapping paper on their birthdays. You can sneak a little present in there as well if you’d like (but by way of request from your child’s teacher, please don’t include a toy that Little Olivia is going to play with in class!). I saved this tip for last because it is surprisingly important to kids and I want it to be the last thought I leave with you. Don’t underestimate the importance of your child’s lunchbox! Let your kids help you pick one out at the beginning of the year and make sure it’s something they are happy with. I’ve seen children go to some very imaginative lengths to “lose” their lunchbox just so they don’t have to be seen with it in the cafeteria. I mean, they are willing to go hungry all day instead of being seen with the darn box. YES! It’s that important. Don’t let money be an issue on this one. I’ve seen some lunchboxes at the dollar store with popular characters on them that kids would be more than happy to take with them to school. Target always also has some great kid-approved lunchboxes from which to choose. ← End Picky Eating With These 7 Tips!